So the other day I successfully made Gluten Free noodles for my first time ever! 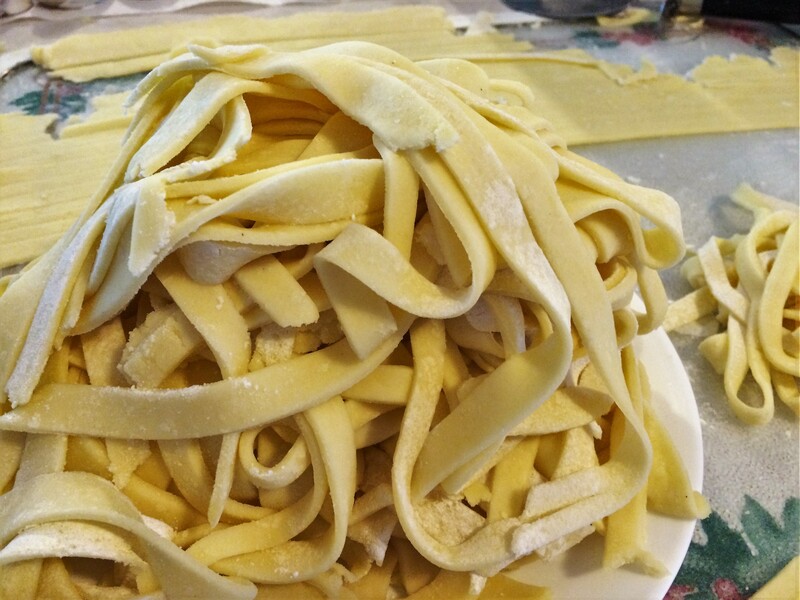 It was so easy and so good, that we did it again, but instead of egg noodles I made Fettuccine. I have been craving Fettuccine for the longest time, every time I make Alfredo sauce we have to use spaghetti noodles and I just go sick of it. I really wanted thick wide noodles, I don’t know why, I just did. Well with all the posts about Gluten Free noodles going around Pinterest, I though I should give it a try. I again scoured Pinterest for a recipe where I didn’t have to buy separate flours or a special mix. I found it on one of my favorite Gf site, Onegoodthingbyjillee. I got a little excited and went a bit nutty – tripling the batch. But there are a lot of us in this house and we all like to eat. Mix all ingredients together until it forms a dough ball. I found I needed to add a bit more moisture, so I my recipe is doubled with a bit more moisture. Stir it together then Kneed it quire a few time, like you would to “normal bread” you want a soft dough ball to form. I kneaded the dough in dusting flour for a few minutes and I rubbed a little extra olive oil on the top of my ball of dough before I rolled it out. I don’t think that is necessary, but I did it anyway. then rolled the dough (just like sugar cookies). Jillee said she rolled it thin, I thought I did too, but mine were still thick. I am really looking forward to buying a noodle press. Not that thick noodles are bad, they are quite good, but I think I could saved some overly expensive GF flour and only doubled the batch instead of tripling it. 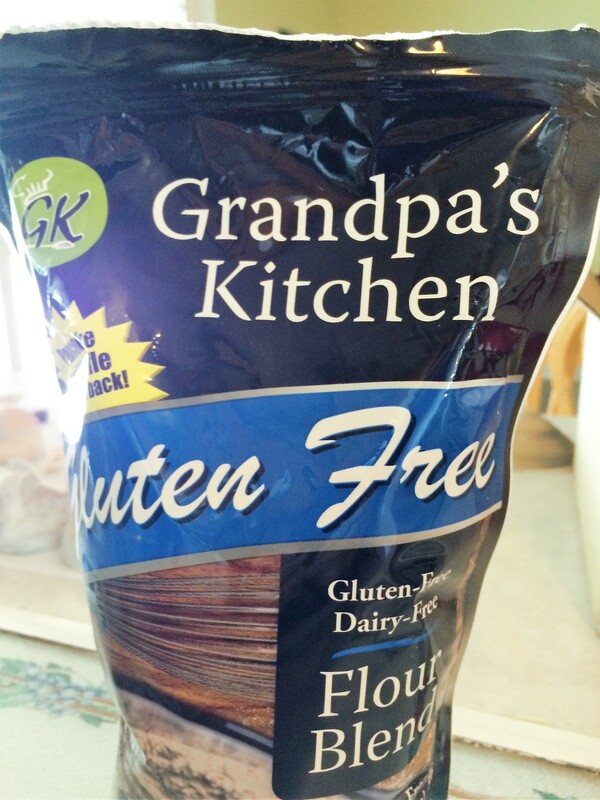 I took some finished noodles over to some Celiac friends and they loved them. They taste like normal old style noodles. My favorite part was that I could use them with Alfrado sauce. Our Favorite sauce comes from Allreicpes. There are only 6 simple ingredients, throw it all in the pan and cook. It really takes no time at all. I got so excited about the noodles that I even made garlic bread. I think I went a bit crazy in the kitchen for dinner. My Allergy Girl had GF bread for her garlic bread, but the rest of us had normal bread. Her favorite bread is UDI’s or Franz. The whole meal was scrumptious, delightful and so filling. All the noodles were gone and everyone was happy. Hurrah for Homemade GF noodles. And plus I am feeling so unusually domestic 🙂 . Thanks Jillee, 5 stars again. Update: I have now made these quite a few times, and it only takes a few minutes. It adds a wonderful touch to dinner, and my kids are so grateful. 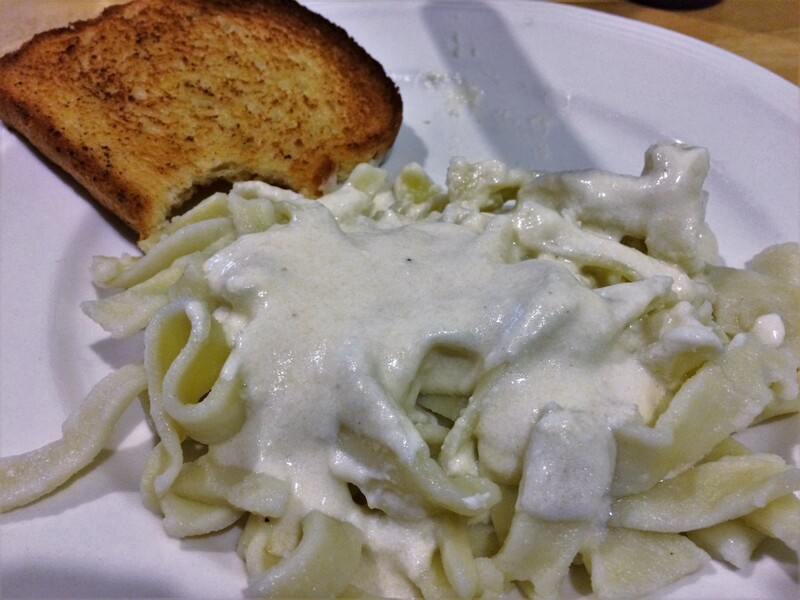 This entry was posted in Gluten Free Recipes and tagged Gluten Free Alfrado sauce, Gluten Free Fettuccine, Gluten Free Noodles, Gluten Free Recipes, Grandpa's Kitchen Flour, recipe. Bookmark the permalink. 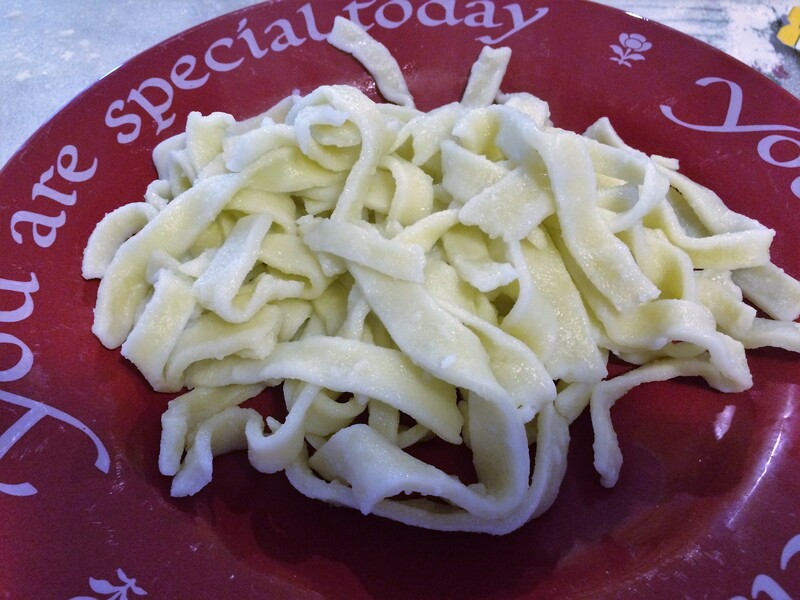 Homemade noodles are the best!! I’ve been wanting to eat them for so long! !